Escocia Termite is your best bet for one-stop termite control and termite damage repair services. We can not only perform thorough residential termite inspections, but also help you eliminate any termite infestations that may be discovered on your property. During the inspection, one of our expert staff members will examine every inch of your woodwork for signs of both dry termites and subterranean termites. We pay special attention to structural wood, stall showers, and bathroom and kitchen floors, as these are some of the areas most vulnerable to termite infestations. We offer FREE inspections to single family residences! 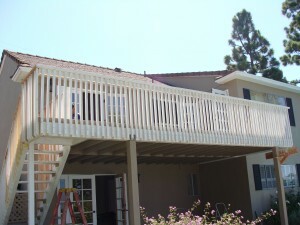 Other termite inspection companies may think that their job is done once they deliver their termite inspection report. This is not the case when you work with Escocia Termite. Our friendly and knowledgeable staff members are on call during business hours to answer any questions you may have about the findings of your inspection report. If termites were discovered during the inspection, we can help you eliminate them and repair the damage they have done to your woodwork. Just give us a call and we’ll help you schedule appointments for these additional services at the times that are best for you. We have bilingual staff fluent in both English and Spanish.